Powerful content can be an incredible tool for your business but it’s not always easy to create. Mastering the technique of content writing requires skill and expertise, often gained through many years of writing for varied audiences and mixed platforms. The risk of getting it wrong, of drafting copy that is unappealing and ill-conceived, can mean wasted time and effort on something that won’t produce the desired result. Instead of engaging hundreds of readers, if not thousands, you’ll end up creating a website of unread pages or a stream of blog posts that have little purpose or relevancy, lack consistency and offer no return on your investment. Your content must be well-written, it must address your target audience and it must serve a purpose by answering the ‘so what’ before inviting the reader to take action and learn more about you. This might seem over-the-top but it ensures your written words will be read and people will notice you. Done badly and your content transforms from a good idea to a crappy reality. Here are five crappy content writing fails and what you can do to avoid them. It’s one of the most common fails. Everyone thinks they can write, which means everyone is a skilled and qualified writer. Wrong. Entering your most passionate ideas into a blog template won’t get you the results you’re looking for. If the piece isn’t well-written and doesn’t provide meaningful value to the reader, it won’t get an online reaction, search engines won’t recognise it as being of high quality and you’ll wonder why nobody ever reacts or leaves a comment. It wastes your time and theirs so spend the money and invest in a quality writer who can add value to your team. Play to your strengths and quit pretending you’re a capable online wordsmith. It takes time and effort to create a single piece of content. Think 2-3 hours to write a post from idea generation to review stage, then up to an hour for edits, then another hour for image sourcing, publishing, social shares and responses. And I’m estimating on the low side. To reap the results of an effective longer-term content strategy, you need a longer-term content creation plan. A great online reaction won’t happen overnight and thought leadership, influence and authority take time to build. To create success, you need to adopt a consistent approach to writing, develop a content plan or calendar for the way ahead, and allocate time to deliver the work. It’s a rookie writing error but we’ve all done it before. You have a fantastic idea for a post and you start writing away. Before you know it, you have the makings of a masterpiece and you hit the ‘publish’ button. Then nothing. Viewer numbers fail to materialise, comments never appear and any hope of significant traffic dies a sad and lonely death. So what went wrong? The answer is you forgot to consider who you were writing for. Did you think about the reader and what they wanted to learn from you? Did you adapt your writing for the platform’s readership? Did you address the burning issues of your organisation’s demographic? If you ignore your target audience, your content won’t resonate, it will fall flat and nobody will take action. Think about your readers’ pain points, how you intend to fix them and the value your written work will bring. The best part about creating powerful content is that it can be shared far and wide, and generally for free. People won’t suddenly start reading your work and visiting your site without there being a promotion strategy in place. The worst mistake is to spend hours writing something great and then you simply publish it on your site or LinkedIn profile. You have to do more than that. On LinkedIn, promote it to your groups, schedule interesting status updates with links to the content, include it on your company page and share it with your colleagues. Publicise it across social media – on your Facebook page, Twitter and Google+ accounts. And come back to it in the future. If the post did well, bring it out of the blogging archives and share it again at a later date or rework it into a new piece with a slightly different angle. The possibilities are almost endless. Every piece of content you create must have a clear purpose behind it. Are you trying to fix a client’s problem or address a particular need? Do you want to drive traffic to a new campaign or is there a special offer that you need to draw attention to? Ask why you’re writing the content or risk creating something that is doomed from the start. Ensure the content fits to a part of your business strategy. Take some time to think about why someone would read this piece of work. Create a plan for matching your content to platforms or publications based on the answers to these questions. Avoid these content writing fails by understanding why you’re creating content and what you want to achieve in the first place. By thinking about each of the points above, you’ll ensure you add value to the content writing process and place a focus on content that is high quality not crappy. Are you thinking about changing your job but are fearful of doing so? Have you been offered an international assignment but the prospect of leaving loved ones is too much? Or do you watch other people lead a more fulfilling, exciting life laden with opportunities and adventure, wondering why the same thing never happens for you? I’ve experienced all of this and more. I changed my location, working world, way of life and approach to lifestyle. I wanted to live my life to the fullest, not watch it pass me by. I wanted more from this life and I point-blank refused to settle for less. So I created a blog called In Search of a Life Less Ordinary, which has gone on to become a leading expat, travel and lifestyle site. The blog is about making major life changes for the better – from moving abroad to changing your working world, exploring the great outdoors to learning to make time for the things that matter. I recently relaunched the blog and, with the relaunch, I released a new eBook called The Life Less Ordinary Manifesto. Best of all, I want to let you know that it’s completely free and now available to download. The site and eBook are awesome. Russell’s openness and willingness to share his knowledge and experience are what make him one of my favourite online voices. I wrote The Life Less Ordinary Manifesto as a call for people to declare their intentions to live life differently – on their terms, not the way others expect. It’s about knowing when it’s time to make those major life changes, whether changing a job, moving location or simply making tweaks to a currently unfulfilled life. I wanted to create a short eBook based on popular blog posts that showed the challenges you might face in changing your life for the better and how to take those first small steps towards living a life with more fulfilment and purpose. Helping you learn how to do what you love most. How to be who you want to be. How to find wonder in the world. A truly original voice with a pen overflowing with insight and positivity. This book is packed full with gems of wit and wisdom. The steps I took to improve my life and give it greater meaning. When the time is right to make those changes to live a less ordinary life. That change won’t be easy but it will be worth it. How to take those first steps to turn a dream into an exciting new reality. You can get your own free copy of The Life Less Ordinary Manifesto by joining my newsletter list at the Manifesto landing page here. Once you confirm your email address, you’ll receive a link to your free PDF copy of the manifesto. This is excellent. I love it. But then I knew I would because it’s exactly what I believe too. This manifesto is free and is being downloaded around the world. If you have already downloaded it yourself, then I want to say a heartfelt thank you. It means a lot to me. If you would like to see the manifesto reach more people, please share among friends, family and within your circle of influence. Post the link on Facebook, email the manifesto page URL here to a friend, download the eBook and make copies for the people around you. Most importantly, please tell me what you think. Did you enjoy it? Could you relate to it? Leave a comment below or email me directly using the contact form on the blog. Time to change your life? Ready to stop dreaming and start taking positive action to make those changes? Just enter your email in the sign-up box to get your FREE copy of my eBook. Once confirmed, I’ll send a PDF straight to your inbox — at no cost to you whatsoever. I hope you love the new look site as much as I do and enjoy reading The Life Less Ordinary Manifesto. Don’t forget to let me know what you think below or on the blog itself. With over 300 million members, LinkedIn is a gold mine of job, networking AND business opportunities. With this number of people online, you need to help others easily find you and attract the right kind of interest in your LinkedIn profile. Your profile is your digital business card. It is a unique way of promoting yourself to 1st, 2nd and 3rd connections – an almost endless sphere of INFLUENCE. You cannot afford to sit back and hope that others find you and reach out to you. You need to get active and get noticed. The more you do on LinkedIn, the more people will notice this activity. They might be curious to learn about what you do, they might see commonality in your working worlds, or they might be looking for someone specifically like you. As you make updates and get involved, the views to your profile will increase. So where do you begin and what should you do? Here are 8 SIMPLE TRICKS for getting noticed on LinkedIn. Get your profile into shape to drive people to you. Update headlines, summaries, experience and more. Add in multimedia and don’t leave any section blank. Regularly update headlines to target new employers or drive new business. Post regular updates related to the kind of impression you want to make. See yourself as an industry expert? Share news articles and latest thinking. Want to impress a potential employer? Share completed projects and recent achievements. Inform and engage. Add value and INSPIRE. Use LinkedIn’s publisher platform to write posts related to your expertise (as I have done here). Have it seen and shared, liked and commented upon. People often get better results from posting on LinkedIn than they would on a company blog or business website. Draft it in a Word doc, copy and paste, then voila. You have the ability to spread your message far and wide, especially when compared to a regular status update. Join relevant LinkedIn groups and actively contribute to the community. Share posts, comment on other discussions, start a conversation and engage with people when they respond. It’s another way to demonstrate your expertise, helpfulness and experience, and will often encourage people to want to learn more about who you REALLY are. Seek recommendations of your work and recommend other people. Their connections (and yours) will see the kind things that have been said and may be curious to find out more about the person who said them. Human behaviour is a wonderful thing – when you look at someone’s profile, there’s a good chance they will look back at yours. Then you connect and then you reach out. Search on the type of people you want to have a working relationship with and check out their profiles. Even better, run a search tool like AutoPilot and let it do the searching for you on a daily basis (up to 1,000 searches). Better still, let someone like me do it all for you and watch the notifications and connection requests FLOOD in. If you visit a connection’s profile and the skill endorsement request pops up, go ahead and endorse them. It might seem twee but it’s a great way of showing respect and support for a colleague or contact, it leaves your name on the Skills section of their profile, and it shows them you care – invaluable when it comes to leaving a good impression. Most people wrongly assume that you’re connected to all 300 million people on LinkedIn, but you’re not. You can ONLY reach out to the people in your first degree network and to those 2nd and 3rd degree connections. It follows that the more people you have in your first degree network, the more people you have access to overall. Therefore make sure you accept all relevant connections requests and don’t be shy in making a few of your own. You’ll find that once your connections grow, so will your profile views. Overwhelmed? Unsure where to begin? Check out my LinkedIn Profile Makeover Packages or my LinkedIn Article Marketing Package and bring me onboard to overhaul your profile and drive people to you. You can also reach me at russell@new.theinternationalwriter.com. Let me answer your questions and work with you to get ACTIVE and NOTICED on LinkedIn. The main focus of my content writing business is moving towards LinkedIn profile writing. And the reason why? More and more people are realising the power of LinkedIn to boost their online profile, be seen as an industry expert, increase leads, drive traffic to websites AND improve search engine ranking. Where once LinkedIn was a place to host your CV and make a few interesting connections, it has fast become an essential personal branding tool and a place to network, job seek and discover exciting new business opportunities. It has therefore never been more important to build and maintain a POWERFUL LinkedIn profile. Most of my business leads now come through my LinkedIn profile so isn’t it about time you gave your profile a much-needed makeover and kicked up a storm about the new YOU? Here are FOUR STEPS you need to take. Keep it simple, engaging and professional. Nobody wants to see you out drinking with your buddies or dressed up for a night out with your other half. If possible, have a professional photo taken. Ensure you smile, have your face fill the image dimensions, wear business attire or smart casual, and opt for a plain background so the focus is on you, not the building behind you. A rookie error is not using a profile picture at all, which gives the perception that you’re hiding from something OR someone. Gone are the days of simply posting your job title and the company you work for. LinkedIn has moved on and your headline should too. A BOLD HEADLINE is vital to attracting attention to your profile and it’s the first thing people will see when they find you. It’s a shortened, 120-character version of your overall profile and it needs to rank well in searches on LinkedIn and beyond. Fill your headline with KEYWORDS. Optimise your profile with the main words that describe your work and what you want to be known for – a headline like this will ensure people find you and connect. Consider using adjectives to describe your position, add bullets or lines to separate the words, include additional activities, accomplishments and experience. Look at my own profile at au.linkedin.com/in/russellvjward for an example of a keyword-packed headline. Another option is the statement headline where you talk about your value proposition, target audience and unique selling point. For example, Brands and Businesses Turn To This Experienced Creative Producer to Manage Events That Deliver. Alongside your headline, the summary is one of the MOST IMPORTANT elements of your LinkedIn profile and gives your viewers an outline of who you are. You can either use it as a chance to engage and sell to your target audience or provide summary information about what you do. The trick to writing a killer summary is to make it visually appealing by breaking the content up into easily scannable chunks, using bullets and capitalised text to draw attention to certain points, and including links and a CALL TO ACTION (contact me, email me, visit my website) at the end. One way to write your summary is to tell a story so start with a brief background (who you are and what you do) and your mission or purpose in work, then talk about your target audience and their potential pain points. Once the problem is out there, reveal how you will fix this (what you can do for them) and give a quick example to demonstrate credibility (key achievements; high-profile successes). Finally, make sure you give your business website address, email and even a phone number – and watch those leads come rolling in. LinkedIn now gives you the ability to add photos, presentations, videos, PDFs, links and more immediately beneath your summary and in your experience sections. It’s your chance to BOOST your online presence by including a visual element, rather than rely on plain text. Simple and effective, consider uploading anything that showcases the work you’ve done, the business you operate and the successes you’ve had to create a visual profile that shows off the creative side to you. There are other ways to optimise your LinkedIn profile and increase notifications, connections and messages – I’ll share more on these later. For now, follow these basic steps and you’ll be well on your way to creating a STUNNING LinkedIn profile that gets you NOTICED, drives more people to you, and even gets you that dream job or lucrative business opportunity. Have any questions or want to learn more about how we can create a brand new LinkedIn profile for you? Visit our website at https://theinternationalwriter.com/linkedin-profile-makeover-packages/ or get in touch at russell@new.theinternationalwriter.com. I would love the opportunity to answer your questions and work with you to drive people to your own POWERFUL LinkedIn profile. The headline is the most important element for getting your business content read. In a world of online noise and distraction, your article or post headline has the power to grab a reader’s attention and entice them into reading more about your business and your work. With the ability for everyone to now post on LinkedIn, it’s more important than ever to know how to write a headline that makes people click. These readers could become your next customers so you need to create something that makes an unforgettable, irresistible promise to them. With this in mind, here are 4 ways to write a headline that rocks. No-one pays attention to long-winded, over-blown headlines. We don’t have the patience and we’ll lose interest. As a rule of thumb, never use more than 100 characters in a headline, tell your readers exactly what you have planned for them, and make the headline punchy, to-the-point and understandable. Still, feel free to throw in an interesting adjective or two. Consider “unbelievable”, “incredible”, “essential” or even “free”. Appeal to your target audience by telling them how your article will solve their problem or fix a growing issue. Promise them something valuable or teach them a new skill that they’ve not known before. Try writing ‘How to…’ or ‘Get started by…’, which often draws the reader into wanting to know more. Play around with the word order and be creative. Ask questions, demand answers and even employ a little negativity. You’d be surprised at how well ‘The Questions You Should Never Ask Your Mother-in-Law’ might do. One way of including the reader in your work is to show them that you understand their needs and that your expertise will assist them. Writing headlines using “you” and “we” appeals much more directly. Example are, ‘What Would You Do if You Lost Your Job Tomorrow?’ or ‘How We Can All Avoid Making Huge Financial Mistakes’. Speaking in this way to the reader is a powerful tool – it can seem as if you’ve written the piece specifically for them or that you’re standing in solidarity with them. Lists are effective because they tell the reader exactly what to expect from your article or post and can grab them from the start. For example, ‘7 Ideas That Will Change Your Life Forever’ or ‘3 Tips For Becoming a Brain Surgeon’. If you’re going to write a list, don’t rely too heavily on the use of “Things”. Instead, look at using “Tricks”, “Ways”, “Ideas”, “Lessons” and “Facts” as possible alternatives. Remember that a headline is your first point of contact with the reader. The type of headline depends on who you’re writing for and what you plan to write about. By keeping a headline short, punchy, relevant and engaging, you’ll get extra attention, more clicks and hopefully lots of keen new customers. What have I missed? What other ways are there to write a killer headline? At The International Writer, we’re fortunate to work on any number of diverse and interesting things that come across our desks each week. It might be a press release or a website page, a social media post or an online article for a leading retailer. Our latest job was to write a news story for Edelman and General Electric here on wind turbines and the development of a wind farm at Boco Rock in eastern Australia. It’s fascinating stuff being a content writer and no day is ever the same. We’re creating an incredible mix of content for our clients which tells us one key thing: it’s more important than ever for a business to vary what it puts out – and where it puts it – in order to satisfy an increasingly content-hungry audience. The great thing about the Internet today is that you can be as creative as you like in getting your message out there via a number of recognised (and often free) ways. First, figure out what works best for you. Facebook is king for mainstream content sharing but is it the most appropriate venue for highlighting your latest specialised product or service? A LinkedIn company page might be better or consider the ability to reach mass audiences through Google+ and Twitter. And what about using a blog or news page on your website? Then, once you decide on the methods for varying your content and getting your message across (and try to aim for at least three or four to ensure good variation), start to consistently use them on a regular basis. Next, look at the type of information you’re sharing (or want to share) and make sure it has enough variety and relevance to ensure your reader remains interested and engaged. Instead of posting weekly pieces on how to do this or why to do that, share news about your company or industry, let us know where you’ve been and what you’re working on. Tell us a bit about your people and why they do what they do. Show and tell – we want to see pictures and graphics, not just text and a wooden tone. Incorporate infographics, audio and video, and include longer, more in-depth posts that your reader (and Google) will prefer. But don’t just rely on the blog post because there are lots of other ways you can connect and engage with people. Think Google hangouts, Twitter chats, Instagram meet-ups and more. Whatever platforms you use and the types of content you share, make sure you keep it all fresh, original and compelling. You’ll need to revisit existing content regularly and update where you can – tidy up web pages and reinvigorate a blog that appears stagnant. Put out a new press release or review your post scheduling calendar. And if you’re struggling for ideas or motivation, come back next week where we’ll show you how to fill up your writing well of inspiration. But keep writing, creating, publishing and sharing. Focus on quality and variation, not quantity and low cost. Follow some of these rules and you’ll be putting some varied content spice back into your business’s life. 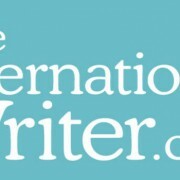 The International Writer has launched and we’re proud to reveal our brand spanking new website, tell you more about who we are and reveal exactly what we do. On this website and across our social media platforms, you’ll see us talk a lot about content – exceptional, engaging, authentic, inspiring, high quality and meaningful content. Content is everything you and your business put out for the world to see. It can be online only and include website content, blog post content, industry news content, social media post content, and even an eBook or three. But content can also be more traditional – reports, submissions, press releases and policy documents. Think of content as every written word you use to market, sell or inform others about your business and brand, whatever medium you might use to get the message across. And this is where we come in. We help you get your message across. We write your business content. But we don’t just write any old content. We rely on our background in business, government and the online world to write exciting, engaging words that deliver your message, strike a chord with your readers and bring them back for more. Our founder is Russell Ward, one of Australia’s most exciting lifestyle and travel bloggers, responsible for the successful website, In Search of a Life Less Ordinary. For the past three years, he’s been writing online for thousands of readers, steadily growing his following across social media, and learning the value of high quality, engaging and inspirational content. He’s also an experienced business writer and has a history with professional services firms and government. The International Writer is a culmination of his blogging experiences, former careers in communications and policy, and passion for content writing aimed at the international and travel and tourism fields. We mainly work with small and medium enterprises. It’s rewarding to see the results of our efforts when we help a small company with its writing needs – we might write their website copy or draft a series of online articles for their blog subscribers, lead a Twitter chat or article write for their magazine. Whatever it is, we write to ensure that particular organisation meets its business goals. Our specialty is international trade. With a background in online and careers spread across different continents, the international arena is where we want to be. We’ve worked with small business, medium enterprises, international brands, start-ups, government and not for profits in Australia, Germany, the UK, US, and even Romania. In 2014, our focus will be on the emerging economies of South America – primarily Brazil and Colombia. It’s a region we’re passionate about and two countries where we want to do more. We’re excited about the future, keen to get to know you better, and looking forward to sharing news, commentary and thoughts here on this blog.